The Russian agricultural watchdog Rosselkhoznadzor may ban imports of flowers and other plants from Germany, the Czech Republic, Slovakia, Italy, Poland, Lithuania, and Latvia, on the grounds that the phyto-sanitary services of these countries certify flowers grown in the Netherlands and do not guarantee security of their shipments to Russia, a Rosselkhoznadzor source told Interfax on July 25. 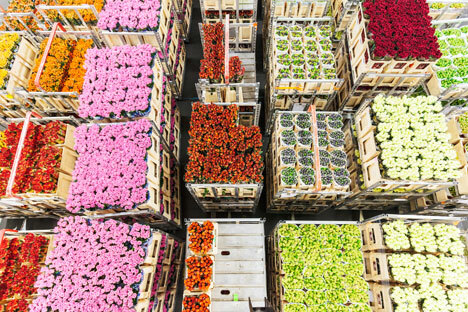 The Russian watchdog has analyzed irregularities during flower shipments from the Netherlands and uncovered 606 quarantine cases among them this year, over half of them being flowers grown in the Netherlands, he said. Flowers from some other countries, including Latin American ones, are also shipped to Russia through the Netherlands, he said.